We’re struggling to defend against existing application security threats - how can we possibly defend against tomorrow’s new attacks? 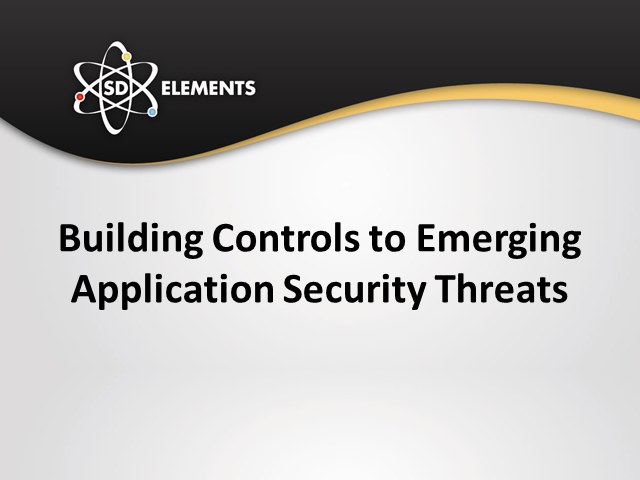 In this talk, Rohit Sethi of SD Elements outlines a process for inventorying applications to include relevant features and requirements, allowing organizations to quickly discover which applications are vulnerable to a new threat when it emerges. Furthermore, he discusses how to prevent the threat from occurring in new applications by adding it to a standardized security requirements gating process.